I think cranberries often get a bad rep because of canned cranberry sauce, and boring cranberry juice, and as a kid I have to admit I wasn’t a fan. However since discovering fresh cranberries as an adult, they are my favorite holiday ingredient -watch out pumpkin! I look forward to when they start appearing in the grocery store every year, and generally buy a bag every time I go shopping during November and December. 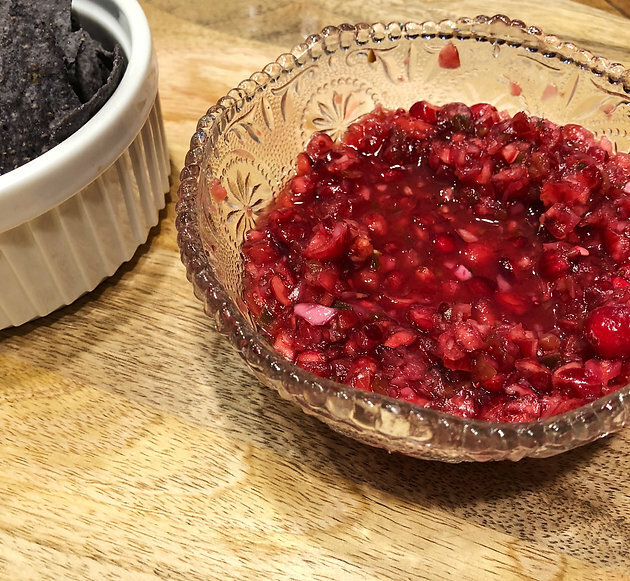 My favorite way to use them is in this fresh cranberry salsa (though they are also great as a garnish in cocktails or sangria, and on their own coated in sugar). 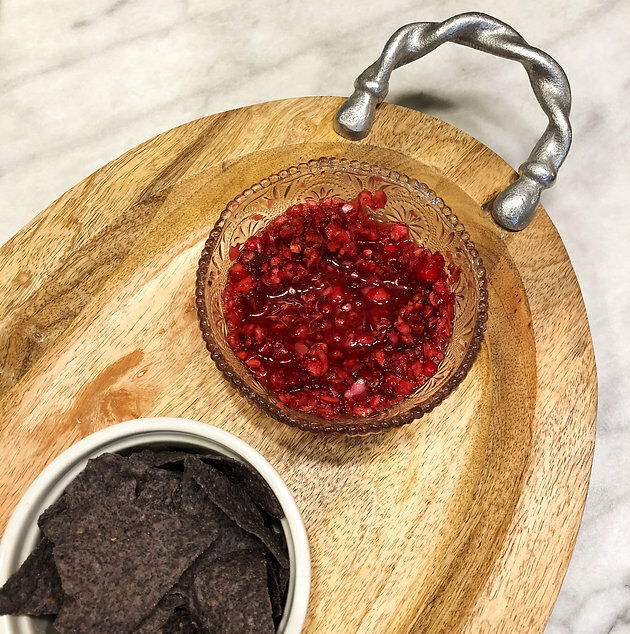 This salsa combines more traditional salsa ingredients with the unexpected cranberry base for a dish that is festive, bright and refreshing, an appealing contrast to otherwise heavy holiday foods. 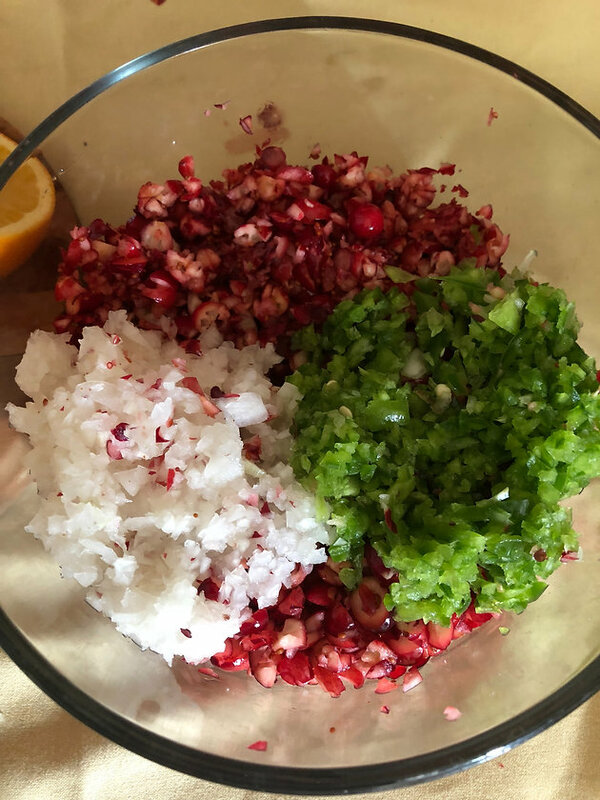 I made this for Thanksgiving and it works just as well throughout the rest of the holiday season, and like all good salsa recipes, it’s easily adaptable to your own personal tastes and preferences. 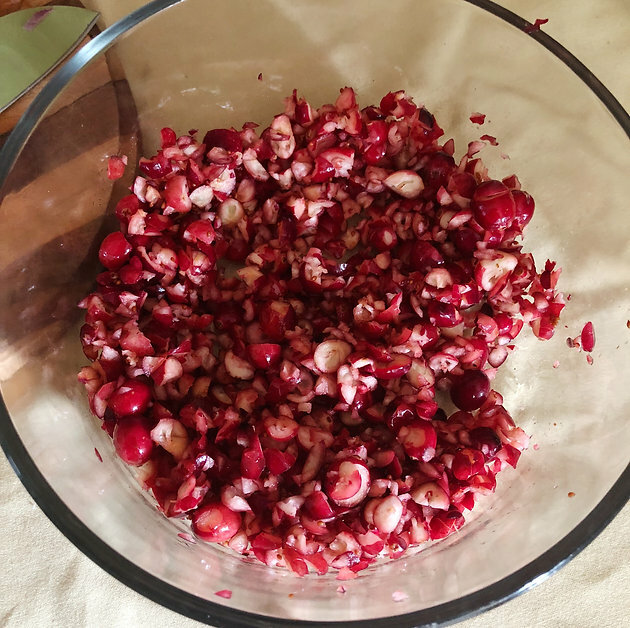 Use a food processor to finely chop the cranberries, onions, and peppers (remove seeds for a mild salsa, keep them in for a spicier version). Combine chopped ingredients with sugar and ginger, and squeeze orange juice over and stir. 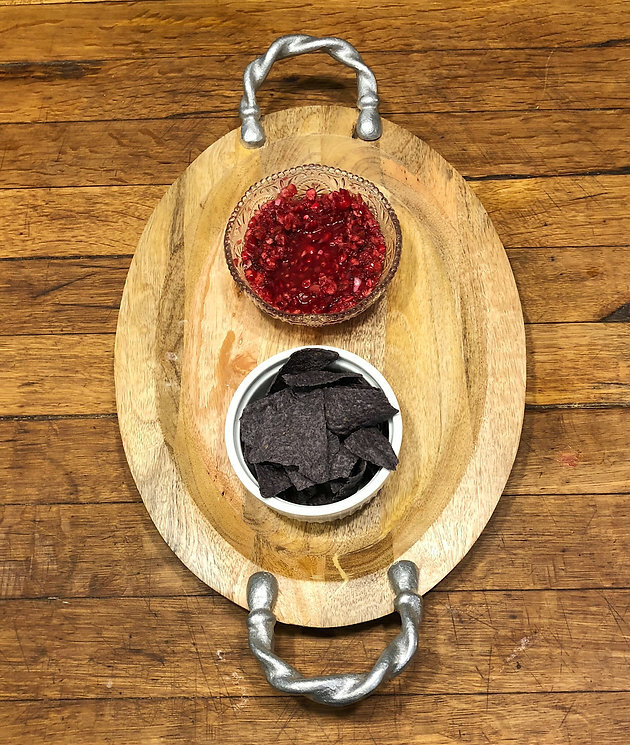 Let sit for a couple hours or overnight to let the flavors blend, and serve with blue tortilla chips. I made this salsa this past week to add a festive touch to our weekly Navona meeting. Julia is back on our coast for Thanksgiving and which means we’re all together, and very thankful to have our meeting over snacks and wine instead of via FacetTime and computer screens!